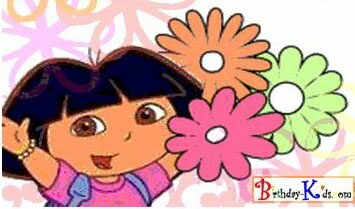 Who hasn't heard of Dora the Explorer, the cute Latina tyke that taught generations of children to speak Spanish and English at the same time, as well as the knack for adventuring and problem-solving? What makes Dora doubly lovable to both kids and parents alike is that she also teaches good values to kids. Dora is always helpful to those in need, always resourceful with her backpack and a map, always loving to her father, mother and grandparents, and already has a sense of social responsibility at such a young age to the animals and the environment. Dora's appeal to kids make hosting a Dora-themed party a sure-fire success. We share with you our ideas for a charming adventure-filled Dora party. Click here for more Dora the Explorer Birthday Party Theme. A Barbie-themed party sets little girls' hearts a-flutter in excitement. There is just something about Barbie that transcends generations of girls. Moms who grew up following Barbie and her friends will enjoy planning the best Barbie party ever. Add some glitter, ribbons, sequins or perfume to the invitation card, because that's the trademark of Barbie -- dainty, carefree, feminine. Barbie loot bags should include stickers, ribbons, hair ornaments, costume jewelries, candies of pink and lavender colors. Avatar, the hit movie of 2009, made history of sorts, becoming one of the best-loved films of all times. Kids of all generations could not get over its compelling story and visual imagery. For your avid Avatar fan and birthday kid, a dash of the magical and a lesson of loving the green planet that we have, through the recreation of the magical world of Pandora in Avatar in his or her birthday party, is a perfect birthday present for your little one.